Win protection for your alloys! Winter isn’t kind to your treasured alloy wheels, but Wheel Guard offers protection. It’s a tough, clear coating that is easily applied to clean wheels with a cloth. Once hardened, dust and grime is said to be easier to wash off, using nothing more than soapy water, and the metal is safe from corrosive salt and brake dust. 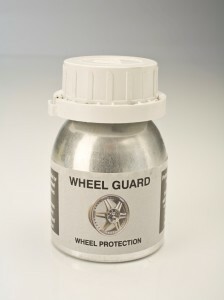 A 60ml bottle of Wheel Guard costs £19.99, but Total 911 has three bottles to give away free to lucky readers. To be in with the chance of winning one, simply send your name and address to editorial@total911.co.uk, marking your email ‘Wheel Guard giveaway’. The senders of the first three emails picked at random after the closing date of 14th January 2010 will each receive a bottle of Wheel Guard.